The shiitake is a mushroom with an intense and defined flavor. In recent years it has become widely popular in Western cuisine from Asian countries. The one that we cultivate is the Shiitake "donko", of mountain, of slow growth. It has a thick flesh and a smooth texture that offers a more intense and delicate flavor. To give more possibilities to the cooks, we classify it in 7 different sizes: Mini button, button, small medallion, medallion, medium, large and jumbo. We can also serve it just as we harvest it without choosing by diameters. 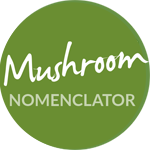 It is a very versatile mushroom in the kitchen that offers a wide range of possibilities. It can be grilled, pan fried or included in many dishes: soups, vegetable creams, whole grains, legumes, stews, risottos, grilled, sautéed and incorporated into warm salads, empanadas, vegetable cakes, salty cakes, croquette or hamburger doughs, mixed with seaweed or vegetable protein -such as tofu, tempeh or seitan-, with vegetables,… It is also used for traditional stews, such as fricandó, with spectacular results. Although the texture of the hat is quite soft, the foot can be more fibrous, especially in large specimens. It may therefore be advisable to cut the foot from the root and use it for other preparations, such as creams, sauces, etc. This mushroom has been cultivated on the Asian continent for more than a thousand years and was called the “elixir of life” because it had a reputation for prolonging life. Recent research seems to show that it improves the body’s natural defences, improves the response to some types of cancer and lowers blood cholesterol levels, among other effects. It is high in dietary fibre, rich in protein and very low in fat.